The 2016 MLB Playoffs are now in full swing but no one invited the New York Yankees to the part unfortunately so instead we, “we” being the fans, the team and the GM Brian Cashman, are left getting prepared for the offseason before the 2017 season. It’s not hard to see what did the Yankees in this season, an aging core that finally got old and less than stellar starting pitching, and while the Yankees have seemingly addressed one of these issues the other will have to wait until free agency and the trade markets officially open up. With the retirements and trades of Alex Rodriguez, Mark Teixeira and Carlos Beltran the Yankees are a whole lot younger but with a staff anchored by Masahiro Tanaka and a bunch of questions marks the pitching is still an issue. 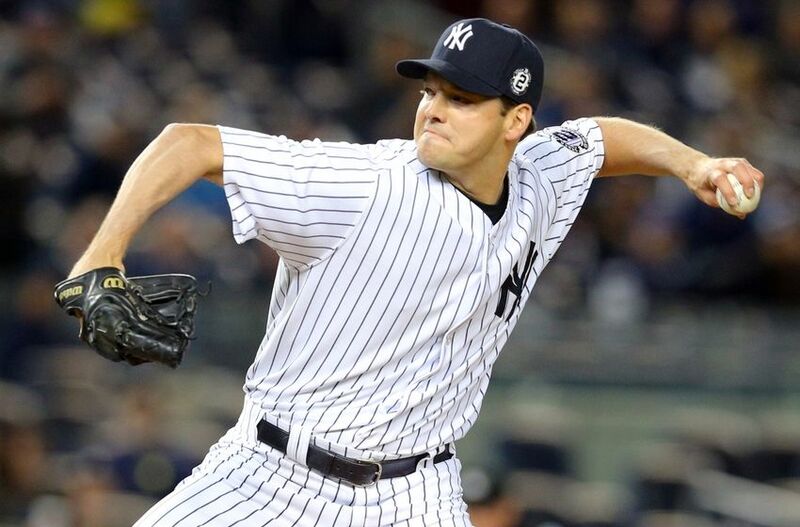 First and foremost, and I don’t care if Buster Olney said it, Rich Hill is not and should not be coming to the Yankees. He is 36-years old, injury prone and all he does is block potential youth from making the club both in terms of a roster spot and in terms of the pretty penny he is going to command in a weak free agent market this winter. Hill won’t command $100 million, don’t think I’m saying that, but I could see him commanding $50 million on a three year deal or so and that, again in my opinion, is the biggest overspend and reach the Yankees could make this winter. Instead it looks like the Yankees may have to once again scour the trade market and that may begin Colorado with Chad Bettis. Acquiring players like Bettis though requires prospects and right now the Yankees need all the prospects they can keep in my opinion. That’s where an old plan becomes a new plan, stockpile the bullpen and simply let Chad Green, Luis Cessa, Luis Severino, James Kaprielian and others fight it out. Add Mark Melancon to be the closer, move Dellin Betances back to the 8th inning and let Tyler Clippard and Adam Warren fight it out for the 7th. If Warren loses, or maybe you could do it anyway, stretch him out back as a starter and let him compete with the young kids. The ultimate goal is to leave the team with too many options where statistically and mathematically they can’t, and I use the word can’t lightly, fail. Make them “too big to fail.” One thing is for certain though the Yankees have to add pitching and they have to add more than one arm. One arm has to be added to the bullpen at least and another has to be added to the rotation if possible. If not we could see a repeat of what happened here in 2016 and nobody reading this wants that to happen again. Do we?